It was great to see that LA becomes a pressing research topic in France. 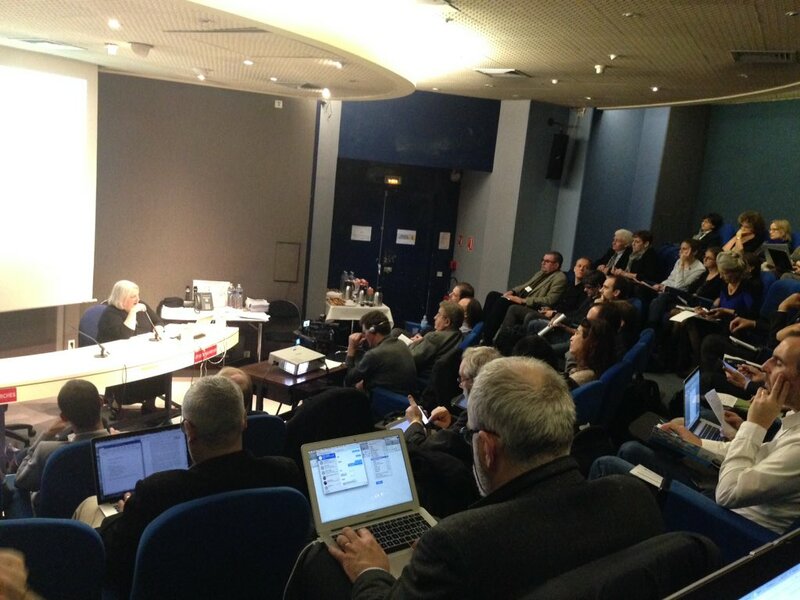 Our French colleagues presented some new research projects such as http://hubblelearn.imag.fr, and CELA. Both projects are closely related to LACE and show the impact of LACE on the French Research field. Hubble focuses on the creation of an observatory for the construction and sharing of analysis processes of traces of massive on-line courses. In that way, it can greatly benefit from the Lace Evidence Hub and vice versa. The Hubble observatory will give the actors of such courses (e.g. teachers, researchers, designers, students, administrators and policy makers) the possibility to analyze and explain the teaching and learning phenomena occurring within e-learning environments. researchers and other actors in the elaboration of analytical constructs, models and indicators. The HUBBLE project will be based on a platform that allows for the construction, sharing and management of analysis processes concerning the traces that are available in the observatory. In such a context, we consider it crucial to address the ethical concerns of stocking and analyzing traces. CELA, focuses on community building like we do within LACE by organizing key events and bring together relevant experts from different field in LA. So stay tuned for a joined event between CELA and LACE in 2016! May I have a contact in Mines Telecom in France ?